How Travelling is Breaking My Heart. 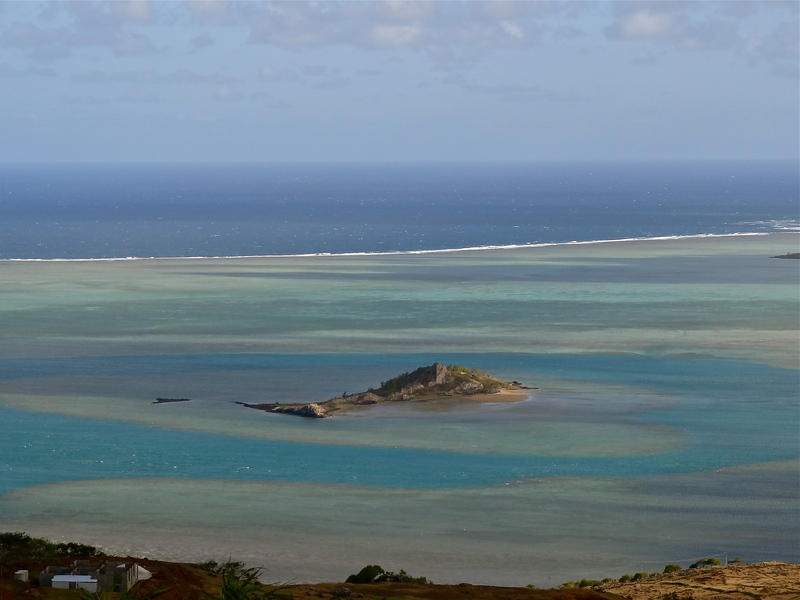 Only a day remains before I must board a flight back to Mauritius, and leave the island of Rodrigues behind forever. I came knowing or expecting nothing from this tiny little dot in the Indian Ocean, and I found everything. I fell in love with its stunning coastline, the volcanic landscapes of its interiors, the smiles forever pasted on the faces of its residents, the casual pace at which life moves here, the handful of cafes… I fell in love with it all. And just as I thought I could live here forever, time has come for me to move on. I feel my heart crumbling to pieces, and like a lovelorn soul, I walk into the Rodrigues tourism office to ask if foreigners like myself can buy land in this little paradise. Who am I kidding, right? I’ll never afford it in a thousand years, and even if I do, my itchy feet won’t let me stay for too long. Rodrigues and I part with a heavy heart. Two days later, I’ll bid yet another teary goodbye to Mauritius, to the wilderness it has preserved for hundreds of years, to the seasonally changing colors of its sugarcane fields, to its pristine beaches and coastlines, and to its warm-hearted French-speaking Indian residents. This is slowly becoming the pattern of my life. Since I quit my corporate job over a year ago to feed my wanderlust, I have fallen in love, and had my heart broken multiple times. I left a part of me in the Alpine countryside of France. The culinary delights and larger-than-life living of the Italian people still beckon me. I miss watching time move backward along the canals of Amsterdam. The warmth and beauty of Turkey‘s Black Sea region is etched in my heart. The tropical wilderness of Malaysia, the postcard landscapes of Vietnam, the untouched treasures of Indonesia, I long for it all. Leaving my heart in Rodrigues, literally! Perhaps the best and worst part of these love affairs is the self-imposed endings; if I really want, I can move my life to the next country, city, town or village that woos me, but what will happen to my endless romance with India and all the other countries, cities, towns and villages waiting to woo me? I know my love affairs must end and continue in another life, but each ending steals a small part of me. I’ve lost count of the number of times I’ve woken up to sporadic yearnings of lands far away, and spent the day traversing them in the crevices of my mind. I’ve spent mornings with a beer in Germany, afternoons in the underground cities of Kapadokya, evenings driving around Rodrigues, and rounded off the night with a hike in the jungles of Kumaon, albiet in the timezone of my mind. I have forgotten what it is to live in one place at one time. I know that I have only started to scratch the surface of the world. I know that the wildernesses of Scandinavia, the Pacific, Latin America, Northeast India, and the forever growing list of places on my bucket list await me, and will have me head over heels in love in no time once I make it there. I also know that I’ll carry the memories of all my past loves wherever I go next. Maybe we are indeed the sum of the places we travel to. Ever felt heartbroken on your travels for having to leave a place? I want to live n travel like u !!!!!!!! i know the feeling shivya..i hve felt it everytime i leave any city i have stayed in for sometime..every place grows into you…everytime the train leaves the station or my flight takes off..i whisper a silent..’miss u’ or ‘will be back soon’ to myself..hoping i see the place again someday..:)..
Ditto, though somewhere deep down I think I won’t go back to so many of them, considering all the rest of the world awaits unexplored! Ah! Don’t we travelers have “In love with cities I’ve never been and people never met” thing? Its hard for me as well to sit home for a while now taking care of some other things…You’ve company. I know what you mean – I left a part of me behind in the lovely mountains of Ladakh ..a part of me I almost cried when I had to come back … Its the same with every place I visit !! I dream about them and yearn to go back .. sigh !! I’ve had my heart broken many times… but somehow, I’ve always recovered. No decision is final – you can move on and always return if you wanted. That’s what helped me recover – keeping memories and old friends in each country… knowing that I can always choose to return. You’re right! In retrospect, I’ve always recovered too. It’s just those moments when you’re boarding that flight or train and wondering why this is ending again. But like you it is good to move on with good memories, knowing that you can choose to return 🙂 Thanks for stopping by, Katherina! Travel can definitely be a heart breaking process, but I guess there is always that possibility of returning to places we love. However that can break hearts too. I have returned to places I fell in love with before only to find them completely different. There is something to be said for the time and emotions you feel in a place that you can never replicate. That is the ultimate heart break of travel for me. I hear you, Suzy. It’s exactly why I don’t think I’ll go back to many of the places I’ve fallen in love with. It’s happier to live with those memories than destroy them with anything less. aww… I cried in my heart when I left Turkey. I can relate to your feelings of being heartbroken. The first time I spent a significant time abroad I fell in love. I fell in love with a boy in a different language, I fell in love with the food, the culture, I wanted to put down roots so badly. Eventually it ended with the boy and I. For awhile I couldn´t even speak the language we had shared without feeling tears run down my cheeks. I have gotten more used to the constant goodbyes and the transitions don´t seem as drastic, but it´s never easy to leave pieces of your heart behind! Just reading what you have gone through breaks my heart, but I can only imagine that it’s such a beautiful memory. You’re right, we can get used to the goodbyes, but never the heartbreak. But as some wise soul once said, what doesn’t kill us only makes us stronger. Thanks for featuring my post Suzy! I´ve enjoyed reading the others too! Here is my latest post about wishing time could stand still until returning home and all of the changes that happen while gone. I absolutely understand where you’re coming from. When you travel so often, to so many amazing places, it’s impossible not to leave little parts of your heart behind. Each and every time I visit and then leave New Zealand, my heart breaks all over again. I can empathize. I lived away from India for several years and missed it terribly. Now that I’m here, I dream of other pastures too, knowing well how much I’m going to miss it if I leave it. Wish we could be in more than one place at one time! Look Shivya, the world is an endless place of natural beauty. Each country has its own natural wonders. Saying goodbye to one good place will take you to another. So calm down, don’t get heartbroken. After you’ve seen and experienced all the beautiful places on this earth, one day you’ll finally realize that your own home and country is the best place in the world. On some level, I already do realize that, but can’t help but wish that we could be two places (or more) at the same time! That’s quite a heart break! But damn I really envy you for the love affairs you had and gonna involved in near future. Keep travelling.Quite an inspiration you are. I think I have to tell myself I could come back if I wanted to every time I leave a place. Otherwise saying goodbye forever over and over again would be emotionally exhausting. It does thin you out as you go though. We’ve been travelling for ten months now without stopping for more than two weeks in a single place. I think I need to stay in one place for a while to recharge my ability to fully connect with a place, and even people. (Gosh, that sounds dramatic.) I guess it’s just a choice: seeing new places means leaving ‘old’ ones. 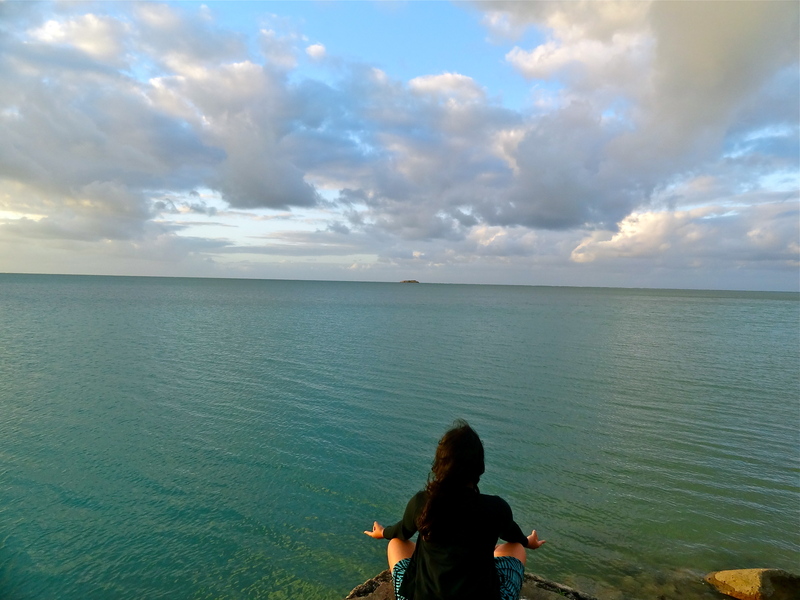 Previous PostMauritius: 9 Experiences to Take Your Breath Away, Literally! Next PostPampering Myself at Le Meridien in Mauritius: A Review.